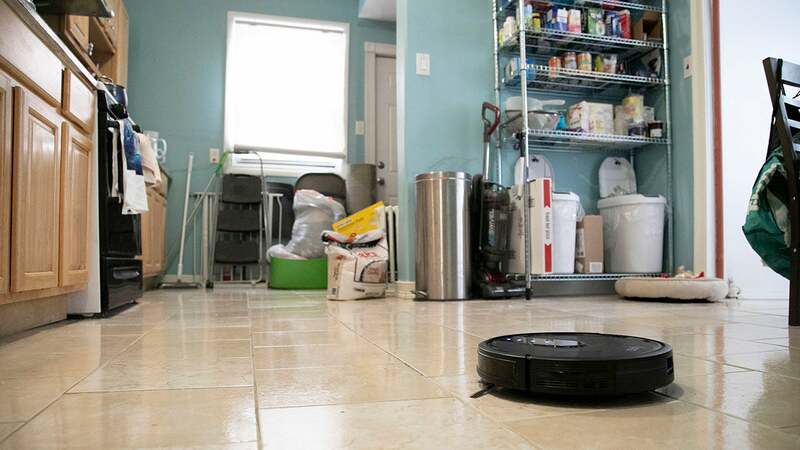 Even though they’re still kind of dumb, robot vacuums happen to be the most successful type of home robot right now. But a couple of years ago, they were too expensive for the average person, and budget options tended to be hilariously awful. They’d miss obvious dust bunnies, crash into furniture, and get hopelessly lost under your bed searching for the charging dock. Like: Good cleaning performance. Voice assistant compatible. Simple to use app. Don't Like: Easily scratched surface. Improvements are all minor. But robot vacuums have come a long way in a short time. You can now find voice assistant compatibility, multi-day scheduling, and app control—previously premium features—on robots in the £300 and under range. 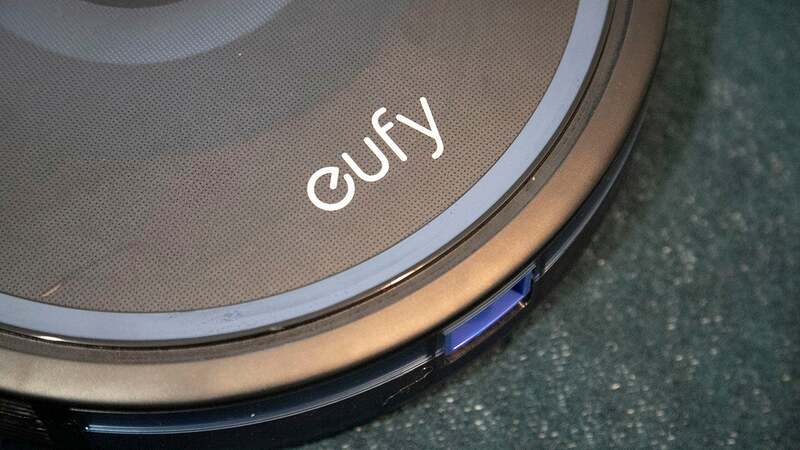 And among robot vacuum makers, Eufy has made a name for itself with some affordable yet quality bots. Its latest, the RoboVac 35C, continues that tradition and adds touch control. The result is a capable little cleaner, though most of the improvements are mostly incremental. First things first—the RoboVac 35C is clearly a budget option with a retail price of $300 (£226; UK pricing and availability TBA). 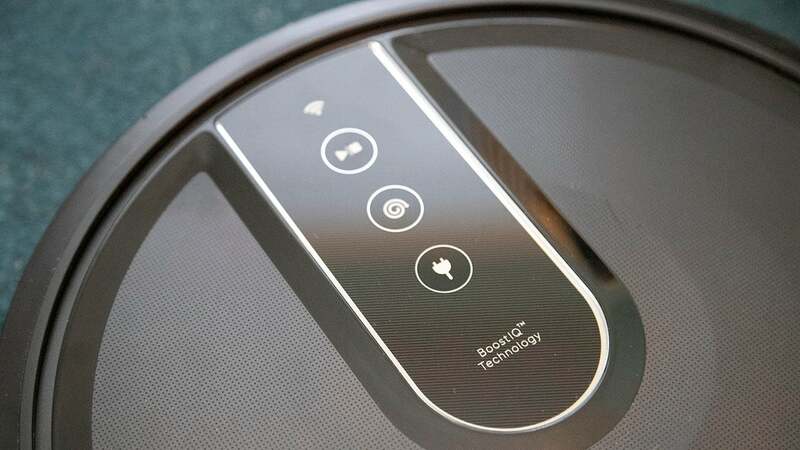 So while you can easily schedule cleans via an app, or control the bot using Amazon Alexa or Google Assistant, you’re not going to get cleaning maps, super fancy camera-based navigation, or self-emptying dustbins like you might with premium bots like the iRobot Roomba i7+ or Dyson 360 Eye. But on the plus side, you’re also not going to spend $1,000 either. I’ve tested over 20 robot vacuums, and the RoboVac 35C is one of the better budget options I’ve tried. It comes with all the standard robot vacuum cleaner modes—edge cleaning for up against walls, spot cleaning for specific messes, single room cleaning, and auto for when you’re feeling lazy. And like most affordable robot cleaners, the 35C opts for randomised cleaning patterns that make use of the infrared sensors located it in its front bumper. So that means it zig-zags all over your home, changing directions when it bumps into furniture. That can be frustrating as hell to watch, as it’s going to miss plenty of dust bunnies and clumps of hair on its first pass. It also can’t remember where it’s already cleaned, so it might pass over the same few areas multiple times and leave that one corner untouched. But again, that’s the deal with cheaper robot cleaners, and it’s not a ding to the 35C specifically. That said, there are a couple of things the 35C has in its favour compared to some even cheaper options out there. For starters, it’s very quiet for a robot vacuum. If you shut the door to your bedroom, you probably won’t hear it sucking up dirt in your living room. And even if you’re in the same room, plopping on a pair of decent headphones is enough to drown it out. The same can’t be said for some premium bots—the Roomba i7+ sounds like someone is wheezing and hacking up a lung directly into your ear. It’s also got pretty good battery life. I ran four or five cleans over the course of a week—my elderly dog drags and dribbles her food everywhere—and averaged about 60-70 minutes per clean in my two-bedroom flat. The 35C also comes with a physical remote, on top of the in-app steering options. That means if it’s driving you insane watching this dum-dum miss that obvious pile of pet fur, you can just manually drive it. Some people would prefer a bot that requires as little intervention as possible, but I appreciate having the option to step in and gently guide my bots. The EufyHome app is minimalistic but has everything you need. You can steer the robot, schedule cleans, tell it to return to the dock, and play a chime in case it gets lost somewhere so you can find it. Navigationally, the 35C is so-so. It’s decent for a random cleaner, but it had some trouble with a tasselled, low-pile rug, which would be a formidable challenge for most robot vacuums, to be fair. It handled the raised edging between my tile kitchen and hallway just fine, while it was foiled by the doorway to my bathroom. And while it had zero trouble automatically finding the dock for charging, it struggled to get itself unstuck from underneath my dining room chair’s legs. Functionally, I didn’t have many issues with the 35C. My quibbles regard the design. 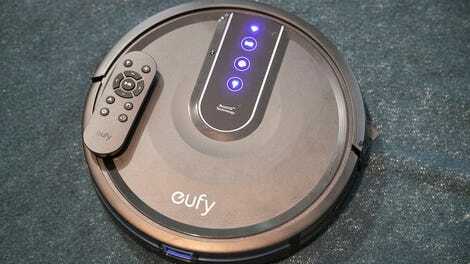 Previous Eufy bots have come with glass tops, which minimise cleaning, smudges, scratches, and dust collecting up top. The 35C changed the top to a matte finish, which not only got scratched on its second clean, it’s a dust and hair magnet. That and the added touch menu is sort of useless. It does what it’s supposed to, but it’s completely unnecessary when you consider you have the app and physical remote that do exactly the same thing. I also don’t like the magnetic strip included with the bot for marking off areas you don’t want the robot to enter. Other bots come with beacons or like the Neato Botvac D7, virtual boundaries you can draw within the app itself. At least the 35C is only 2.85 inches thick. Most robot vacuums hover somewhere in the 3-3.5 inch range for thickness. And while that’s perfectly fine for getting under most beds, the extra slimness is a boon if you have a lot of low-profile furniture in your house. 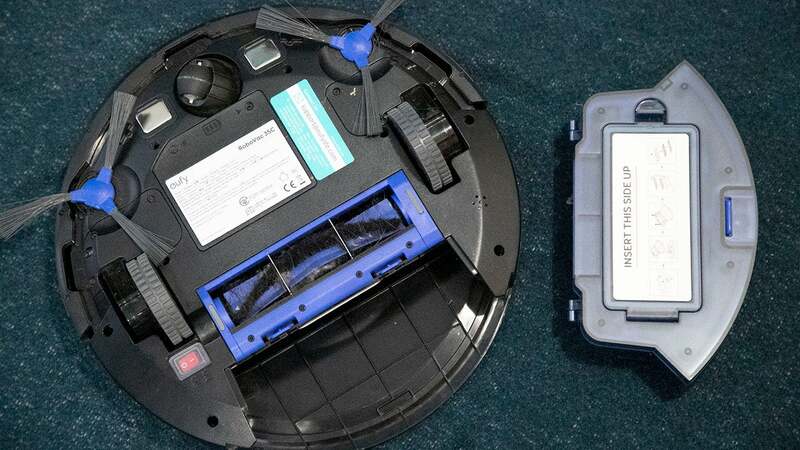 All in all, the RoboVac 35C is a good buy—so long as you’re looking for cleaning upkeep and not a gadget to replace your regular upright vacuum completely. It’s good at sucking up debris, stray food bits, dust, and hair, but the fact is no robot vacuum is good enough at the moment to nab every little bit of dirt in your house. My floors are much cleaner thanks to the 35C, but I still see the occasional dust bunny here and there, especially in hard to reach areas. Still, super high-end options can cost upwards of £700, and even iRobot’s more budget options are pricier with the Roomba e5 retailing for £500 and the Roomba 676 going for £380. But if price is your number one priority, the upgrades to the 35C are fairly minimal and you can find older Eufy models online for even cheaper. If you’re okay with forgoing app connectivity and voice assistant support, the RoboVac 11S is a decent option at around £210 and the slightly more powerful RoboVac 3C is a reasonable £270. But for a connected robot to deliver a decent clean for $300, that’s a pretty good deal. Sure, the RoboVac 35C isn’t flashy, and it doesn’t have the latest features out there, but it gets the job done and doesn’t cost a fortune. There’s something to be said for that. Before you even ask, no it does not clean pet poo. You monsters. Robot vacuums are not meant to handle poo. You have to empty the dustbin eventually. Don’t try it. It’s happened to me. It’s a nightmare. Amazon Alexa and Google Assistant compatible. Pretty cheap for a robot vacuum at $300. Thin for low-profile furniture, but touch controls are kind of useless, and new materials scratch easily. Good at cleaning and automatic docking, but struggles a bit with rugs and raised edging while navigating.